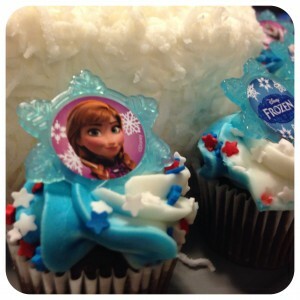 When I read about all of the amazing Frozen events coming to Disney’s Hollywood Studios this summer, I was ecstatic! Our family LOVES Frozen, and can belt out “Let it Go” with the best of them. 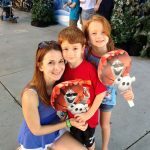 Yesterday was the official beginning of “Frozen Summer Fun” at Walt Disney World, and although we won’t be able to experience it for a few more weeks, I decided to surprise my kids with some Frozen fun of our own! What better way to kick off a great summer than with a Frozen themed family game night? 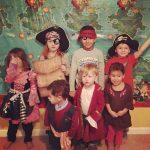 My kids really enjoy playing games, and I knew this would be a great way to make it even more special. 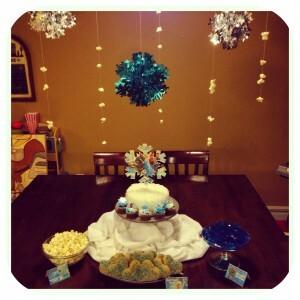 Party planning is one of my absolute favorite things to do. In this particular case I had a short time-frame and limited budget, so I knew I wanted to keep it simple. To organize my thoughts, I did what I do best…I made a list. Lists are amazing, and I use them frequently. 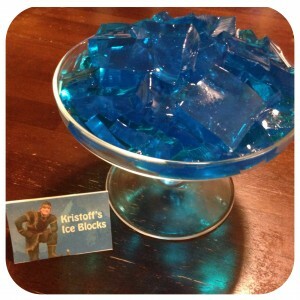 First, I thought about what snacks we could have during our game night. 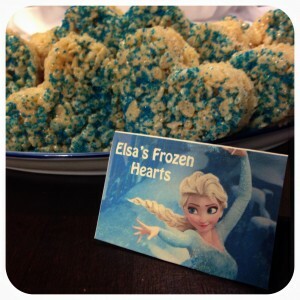 One of the greatest things about Frozen is that it lends itself to so much creativity when it comes to themed foods. I began with Kristoff’s Ice Blocks (blue Jell-O cubes), Elsa’s Frozen Hearts (heart shaped Rice Krispie treats dipped in blue sugar) and Marshmallow’s Snowballs (white cheddar popcorn). 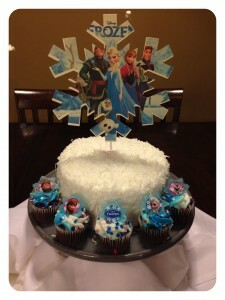 To create a snow-like centerpiece, we had a white cake fluffed with shaved coconut. It was surrounded by five mini chocolate cupcakes topped with character rings. To finish off our frosty foods, the kids were able to ‘Help Sven Build a Snowman’. 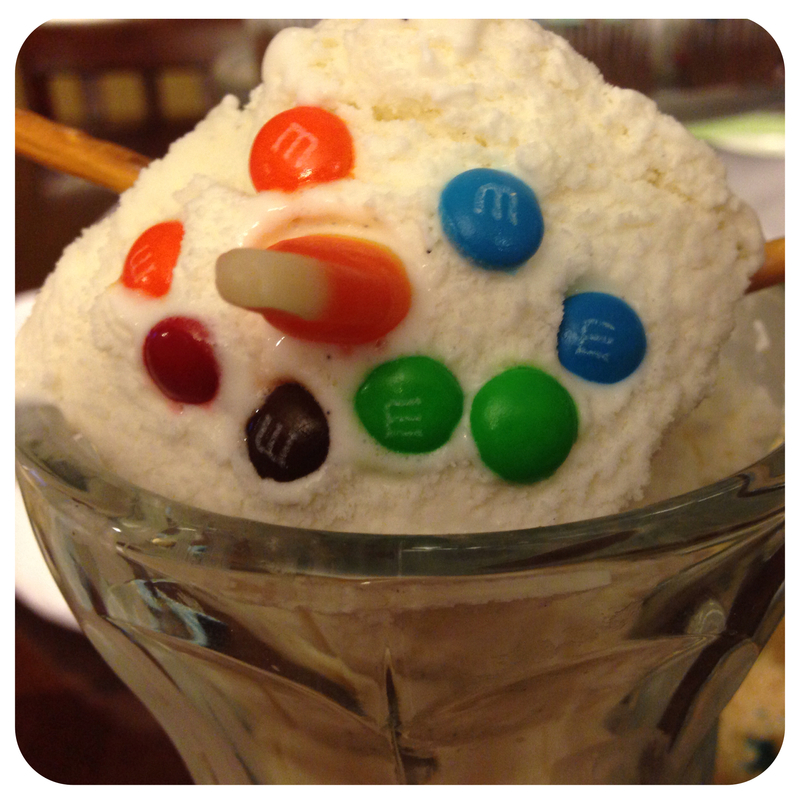 Vanilla ice cream, mini M&Ms, pretzel sticks and candy corn turned into uniquely decorated snowmen. I knew the kids would love it! Next I focused on the decorations. Creating an indoor blizzard in July is a challenge in and of itself, but doing it on a limited budget is something else altogether! I decided to make my own. After rummaging around in my craft drawer, I found some gorgeous foil snowflakes I found on clearance at Target many moons ago. 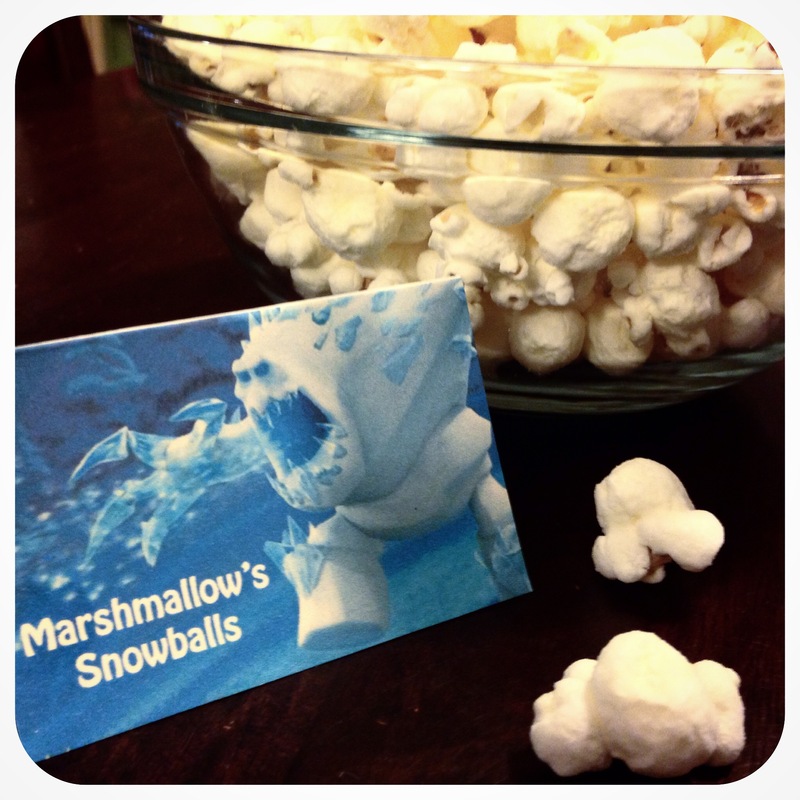 I also had some card stock, so I went online and gathered some great images from the movie to create food labels and a snowflake that I taped to a skewer and used as a cake topper. My favorite part of the décor was Olaf’s personal flurry, which I made out of some of the white cheddar popcorn! I strung it up with a needle and white thread then fastened it to the ceiling. I surrounded the cake pedestal with white serving napkins and voila! – A winter wonderland on my dining room table. The last piece of the puzzle was the entertainment. Of course we would play all of our favorite songs from the movie to enhance the atmosphere, but what about the game? 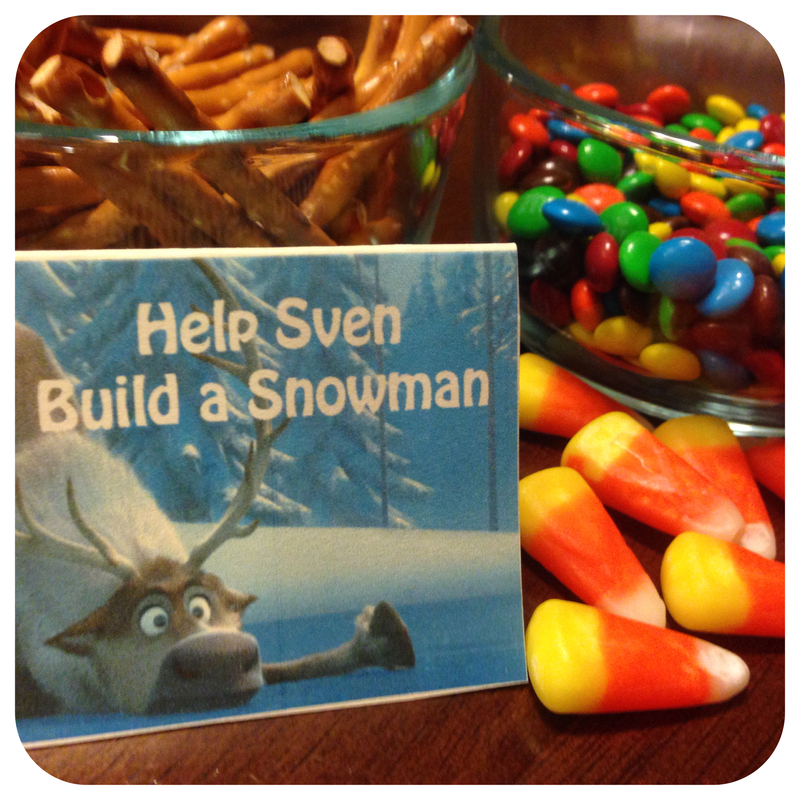 You can’t have a Frozen family game night without a game. However, I didn’t have a Frozen themed board game and really didn’t want to go out and buy one. Once again, I tapped into my creative side and made my own. If your kids are like mine, they’ve probably seen the movie at least three million times. They know the songs, the story, the characters…almost every word by heart. I wanted to come up with something that would be challenging but still easy enough for them to win. Frozen “Who Said It?” was born! The game consists of 48 cards. 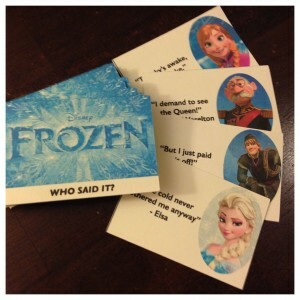 Each card has a quote from the movie and a picture of the character that said it. 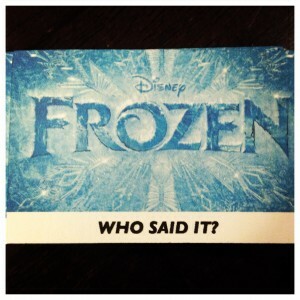 One person chooses a card and reads the quote, then whoever guesses the correct character first gets the card. At the end of the game when all the cards are gone, the player with the most cards wins. Even though it was a really simple game, we had the best time! The kids both loved the playing it and were laughing hysterically at each other as they tried each time to say the line exactly as the character had in the movie. It was so much fun to watch them together, and in the end, only two cards separated them. So although they are 5 and 7, neither of them felt as if the game was too easy or too hard. It worked really well for their ages, which was great! 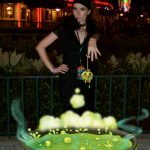 I had a great time coming up with some “Frozen Summer Fun” for my family, and I am beyond excited to visit Disney’s Hollywood Studios this summer and experience some of the amazing things they have planned! If you would like to learn more about “Frozen Summer Fun”, be sure to check out the Disney Parks Blog.